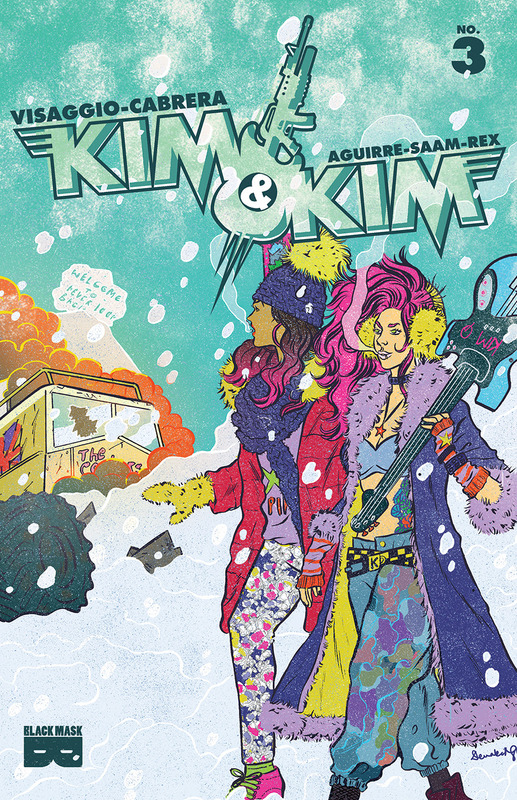 The Fellowship has obtained a first look at KIM & KIM #3 from Black Mask Studios. 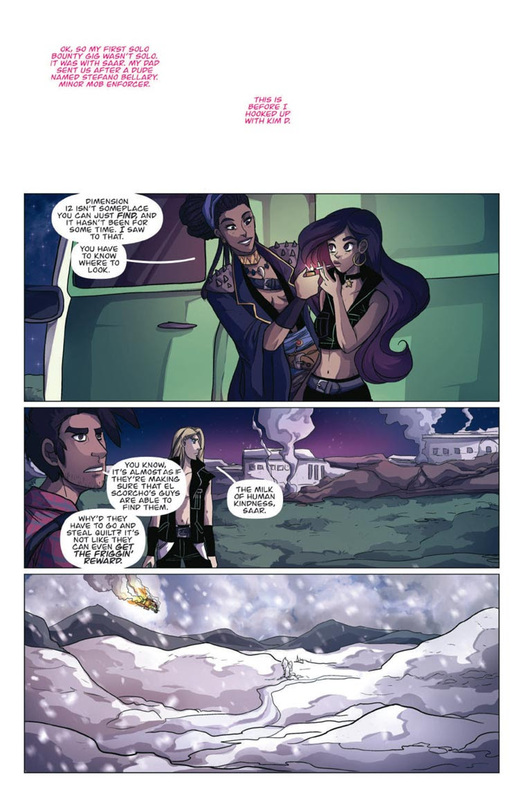 The issue, which hits stores September 28th, is written by Magdalene Visaggio with art by Eva Cabrera, colors by Claudia Aguirre, and letters by Zakk Saam. The cover is by Devaki Neogi. Interstellar-cowboy life just keeps getting worse for our badass besties. 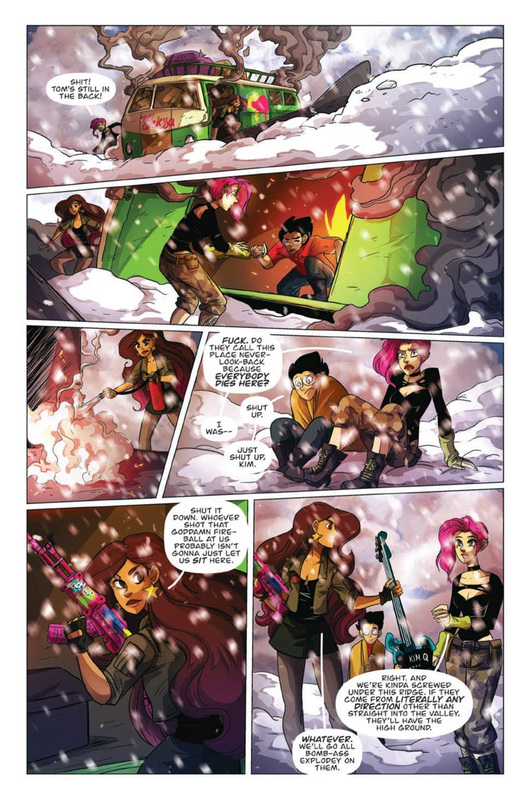 On the hunt for Lady Babylon, Kim & Kim get shot out the sky by an unknown enemy and end up stranded on the frozen world of Never-Look-Back. But what they find there might be the breakthrough they've been looking for.